My wife and I went to Disney World in 2008. We planned that trip specifically so the two of us could go by ourselves, as we knew that we wanted to start trying to start a family shortly thereafter, and if that worked out, our future trips would be much different. We had a great time, and as it happened, we started our family in 2009 by welcoming our son, and added to it with the 2011 birth of our daughter. We’ve talked about the right age to take another trip down. I think that many early childhood memories are lost, and since Disney World is such a magical place, it’d be a shame to have a child ‘forget’ essentially all of the experience. I proposed, and my wife reluctantly agreed that four years old would be the earliest age. I think my wife was reluctant just because she really has been looking forward to going back! So, our current plan is to take the family down in Fall 2015. That’s nearly 18 months away, but as we learned last time, you can never start to plan early enough! While we’re not planning any specific details, we are trying to throw together a preliminary plan including a high level budget, what we’d like to do, where we’d like to stay, and how we plan on getting there, around, and back. Oh, and how to pay for it, of course! I’ve written a couple of times promoting my wife’s design service. She runs it through Etsy, and designs digital wall art, invitations, thank you cards, and other graphical items. She started less than a year ago and she is doing great! She ranks very high on many searches within Etsy for invitations and the like. She’s currently averaging 2-3 orders per day. From the day she started the shop, she said that she would contribute what she earned toward our family trip. Business has been much better than she had expected, and given the popularity of Etsy, it should be a slam dunk to have the trip fully funded, as long as she’s motivated to continue the work and as long as she’s cool with funding the trip. At last check, both of these are a thumbs up! We would like to stay for a week. I haven’t figured out if that means six nights or seven nights, but a week is the general timeline and seems fine for how far out we’re looking. We do want to go in the fall, as this seems a good time to have slightly lower costs, lower temperatures, and smaller crowds. We would be pulling our kids out of school (1st grade and preschool is where they’ll be), but for us, the pros seem to outweigh the cons here. We’re planning on flying. There are nonstop flights available from Detroit to Orlando, and while prices could change, the four of us will hopefully be able to fly round trip for around $1,200 total if prices stay somewhere around where they are. Since this is a pretty common flight path with pretty steady demand, I’m hoping that this doesn’t vary too much. My wife and I really enjoyed staying at a Disney property. We stayed at the Pop Century value resort, and while the accommodations were minimal at best, they were fine for us. I know that many people advocate staying off site, I’m not sure we’re ready for that, especially since then we’d likely have to rent a car, pay for parking, deal with parking lots, driving around, etc. We’re definitely taking the approach that we’d like to stay at a Disney property again. We would probably try to shoot for somewhat of a bigger room to accommodate having two extra bodies. Still, I’m hoping that we can keep accommodations around the $1,000 – $1,200 range. We’d like to focus on the parks, so we would look at what parks we want to do and try to map out what day we would want to go. Knowing that our kids will be young and that this is exhausting, we would definitely leave at least a day or two for non-theme park activities. Maybe a water park, maybe just a day at the hotel pool, or just walking around Downtown Disney. We plan on getting our tickets and such through AAA, which we used last time and provided great pricing. When my wife and I went in 2008, we participated in a meal plan, which was a really good value. We got each got a full meal at a sit down restaurant (dinner), a meal at a snack stand (lunch), a snack (breakfast) and a couple of drinks. My wife did a lot of research, made reservations, and we had a great set of dining experiences and the price was great. Rumor has it that they’ve taken a lot of the value out of the meal plan, making it more a la carte. We need to do our homework here and figure out the best way to go. When we stayed on the Disney property, one of the great things was that they had buses running all around. They picked us up and dropped us off at the airport, they took us to what parks we need to go to, and back. They were great, though there really isn’t a schedule, you do have to wait if buses are full, and leaving from the park to go back to the hotel can have some long wait times. It’s a great service and we plan on using it again, but we’ll really try to figure out any tips and tricks to make it easier as we’ll have small children, who probably won’t be as patient if there are long wait times. That’s about all the planning we’ve done, but this has allowed us to put a figure of around $5,000 toward the trip. This will obviously get refined as we get closer and as we start doing some more detailed planning. My parents have expressed interest in joining us, so there could be economies of scale with lodging, dining, etc. That’s just one of the many things we’ll have to take into account. It’ll be a fun trip to take and a fun trip to plan. I don’t remember how old I was when my parents took my sisters and I to Disney World. But I do still remember a few things about that trip. They are certainly great memories that were made on that trip. I think I was 10 the first time I went. I still have lots of great memories. I didn’t go again until I was an adult, I think in 1999. It’s definitely something you have to be part of to truly understand! I’ve never been to Disney World but I hear it’s awesome and a whole different experience from Disneyland (which I’ve visited many times). Sounds like since you’re planning so early and your wife’s business is doing so well, it should be easy to fund the trip. Sometimes I think planning the trip is almost as fun as going. But maybe I’m just weird. I agree, planning is totally fun! Just a quick interesting fact for your trip. Did you know than when you see the Toy story characters walking around if you yell “Andy is coming” they will drop down to the floor and pretend they are dead. You should try it, I have. Let me know if you did. We’ve been twice and stayed off site both times. We rented a house in a gated community in Kissimmee which is only 10 minutes away. The price was no more than what you are looking at. Plus, it allowed us to cook our own breakfasts, do laundry, had a game room and pool…lots of room to spread out. Since we stayed for a week, it made it nice to lounge around if we wanted to take a day off from the park. We even left the park a couple of times, had dinner at the house and then went back to the park at night. I’d highly recommend it. If your interested, start looking at VRBO.com (Vacation Rental Buy Owner). But you had to take or rent a car, correct? Have a great time there. Search online for discount tickets before you go. Bring a laptop or tablet so you can search even after you get there. Set up your phone as a hotspot, so you have internet access, even when you are away from the hotel. And do not take your shirt off in Disney World. In my 20s I did that, it took all of three seconds for someone in the park Mafia to tell me to put it back on. And I had a rockin six pack back then. I was in Vegas, in 2013 at the Luxor, a nice hotel. NO WiFi!! wtf. The hot spot saved the day. The front desk told me to plug in the wall for internet. do not assume WiFi. Planning early is so important with trips like this. We’ll be going in a few years, a lot more to plan coming from overseas, but it is so worth it. It’s even better that you have been before because you are better equipped to plan and know what to expect. Thanks! I’m sure this won’t be my last post on the topic! We did Disneyland and Disney’s California Adventure for free in 2005. We had a friend who lived nearby and they had a friend who worked pretty high up in Disney and got us free passes. I could not believe it. We had budgeted for it, but were ecstatic to get it for free. I think it is wonderful you are planning so early. 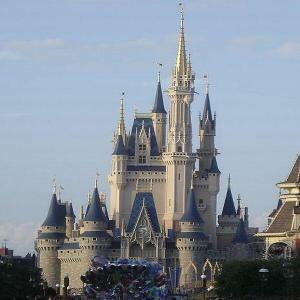 My kids and I have set a goal to go to the US and Disneyworld is on the list of places to go, as is New York. They love America. Planning ahead gives you lots of time to save, suss out the best deals etc. Have an amazing trip when you go ! We were going to be taking our kids to Disney World right before Christmas as my Mom is taking us on A Disney cruise over Christmas. We ended up deciding against it as our youngest is only two and felt like it would be too much on the kids since it’s generally pretty busy then. Instead, we’re visiting my in-laws in San Diego this summer and we’ll take them to Disneyland and California Adventure. Sounds like you have a pretty good trip planned, especially funded by your wife’s Etsy shop. We are already looking forward to it!